NABE awarded Bill Watkins and Dan Hamilton of the Cal Lutheran Center for Economic Research and Forecasting second place in the 2015-2016 Outlook Award competition for the accuracy of their forecasts over the previous four quarters. (THOUSAND OAKS – Sept. 16, 2016) The National Association for Business Economics (NABE) awarded second place in its annual most-accurate-forecast competition to two California Lutheran University economists. NABE announced Thursday that Dan Hamilton and Bill Watkins of the Cal Lutheran Center for Economic Research and Forecasting (CERF) took second place in the 2015-2016 Outlook Award competition for the accuracy of their forecasts over the previous four quarters. Douglas G. Duncan, senior vice president and chief economist at Fannie Mae, received the top award. More than 80 professional forecasters participated in this year’s Outlook Award competition. NABE presented the inaugural Outlook Award in 2000 and has continued to present the honor at every annual meeting since. 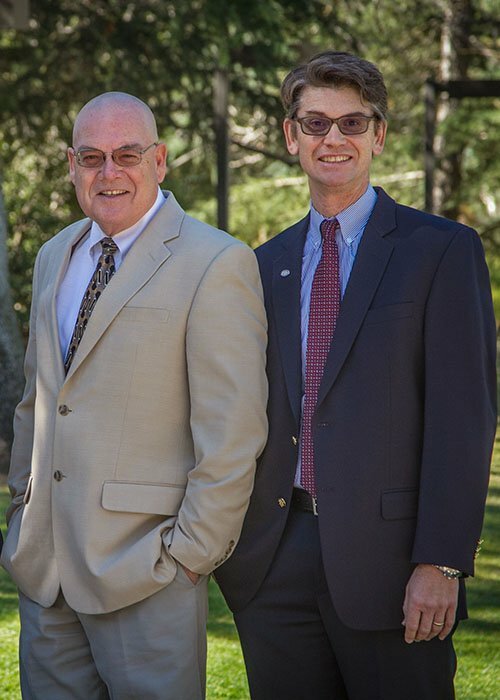 Hamilton and Watkins came to Cal Lutheran from the University of California, Santa Barbara, Economic Forecast Project in 2009 to launch CERF and a graduate program in economics with an emphasis on teaching the tools applied to forecasting. CERF provides county, state and national forecasts and custom economic analysis for government, business and nonprofit organizations. NABE, The Economist, CNN Money and Case-Shiller Macro Markets have included CERF forecasters in their surveys on economic policies and outlooks, home prices, jobs and the presidential election. Media throughout the country including the Wall Street Journal, CNN, Forbes, NBC, Fox Business Network and Bloomberg News have quoted CERF economists. Watkins, executive director of CERF and an associate professor, has provided unflinching forecasts since 2000 when he joined UCSB’s project. He was invited to speak to the California State Senate in 2013. Watkins formerly served as an economist in the Monetary Affairs Division of the Board of Governors of the Federal Reserve System in Washington, D.C. He holds a bachelor’s degree in business administration with an emphasis in finance from California State University, Northridge, and a master’s degree and doctorate in economics from UCSB. Hamilton, CERF’s director of economics and an associate professor, has worked with economic forecasting models for nearly 20 years. Prior to joining UCSB’s Economic Forecast Project in 2000, he worked for the Wharton Econometric Forecasting Associates Group, where he produced and interpreted forecasts for clients including Visa International, the Panama Canal Authority and the Central Bank of Netherlands Antilles. He earned a bachelor’s degree in agricultural economics from the University of California, Davis, and a master’s degree and doctorate in economics from UCSB. For more information on CERF, go to clucerf.org.